Rt Hon Paul J Martin arrived Duluth at 17:00 today to load iron. John D Leitch arrived Duluth at 12:00 to load iron. Baie St Paul arrived Duluth at midnight for a load of iron pellets. Algolake arrived Duluth at 14:45 today to load iron pellets. G3 Marquis arrived Duluth this morning to load iron pellets. American Spirit departed Duluth today at 18:30 loaded with iron. Philip R Clarke arrived Duluth at 16:00 today to load iron. Erie Trader/ Clyde S. VanEnkevort arrived Duluth at 02:40 Tuesday. A big thanks for the donations to the Two Harbors Cam fund. You folks never cease to amaze me with your generosity. In less than 24 hours we raise over $1900. More than enough for the project (I hope). I will put any excess funds into the operating fund. All the necessary material is on order and we'll get working on it soon. I hope to have it running by May 1 and will keep you posted. In a joint effort between the Lake Superior Maritime Marine Museum, US Army Corps of Engineers, Two Harbors Chamber of Commerce and duluthharborcam.com we will be installing two new cameras in Two Harbors. One will overlook the boat launch and old lighthouse while the other will watch the breakwater lighthouse and incoming boats. I have started a fund raiser to pay for part of the cost, while the LSMMA has graciously paid for one of the cams already. Installation can move forward once the rest of the funds are raised. I will keep you updated on progress throughout the project. As you know, Two Harbors is a very active port and will be interesting to watch. P.s. sorry, I am not a 501c3 yet, so your donations are not tax deductible. Cason J Callaway departed Duluth at 15:30 today with a load of iron pellets. James R Barker arrived Duluth at 22:45 Sunday to load iron pellets. Cason J Callaway arrived Duluth at 19:00 today to load iron pellets. Paul R Tregurtha arrived Duluth at 0800 this morning to load coal. Note: boat horn was added from a previous recording since it was not blown upon entry. Paul R Tregurtha departed Duluth at 20:30 Thursday for Silver Bay. Herbert C Jackson departed Duluth at 20:00 Thursday for Silver Bay. Boat alerts are now on Twitter! 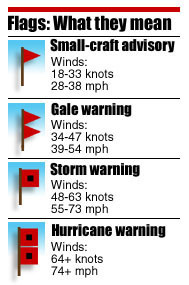 If you would like to receive boat alert tweets, go to Twitter and follow @duluthboatalert. The text and emails will still be active for now. American Century departed Duluth at 00:30 this morning for Silver Bay. Philip R Clarke departed Duluth at 20:45 Wednesday bound Two Harbors to load iron. The 858ft Roger Blough departed under the Duluth Aerial Lift Bridge this morning at 7:45 to kick off the 2017 Shipping Season. The first U.S.-flag lakers are expected to depart the Port of Duluth-Superior tomorrow, Wed., March 22, signaling the start of the 2017 commercial shipping season at this, the farthest inland port on the Great Lakes St. Lawrence Seaway system. Exact times are difficult to pinpoint during start-up (i.e. ‘fit-out,’ in industry terms), but the first departure may very well take place while most folks are still asleep! The Roger Blough is expected to leave its berth at the Clure Public Marine Terminal at first light Wednesday and depart beneath Duluth’s famed Aerial Bridge en route to the CN Docks in Two Harbors to load iron ore. After fueling late afternoon/early evening, another Great Lakes Fleet vessel, the Philip R. Clarke, will also head to Two Harbors to take on its first cargo of the season. Both vessels, with deliveries to make to steel mills on the Lower Lakes, will proceed across Lake Superior toward Sault Ste. Marie, Mich., to await the opening of the Soo Locks at 12:01 a.m. on Sat., March 25. The Blough is expected to be the lead ship downbound as she was in 2016. Interlake’s flagship, the 1013.5-ft Paul R. Tregurtha, wintered at the Superior Midwest Energy Terminal and is scheduled to load coal there Wednesday, then move to the Clure Terminal for final preparations before leaving for Silver Bay tomorrow night/early Thursday. After discharge, that vessel will return to Superior to load coal for its first inter-lake delivery to the St. Clair Power Plant in Michigan. Two more Interlake Steamship Co. freighters that wintered in the Twin Ports – the Lee A. Tregurtha and the Herbert C. Jackson – are expected to depart late Wednesday, as well. The Lee A. is in position to leave Fraser Shipyards first, sometime midday. 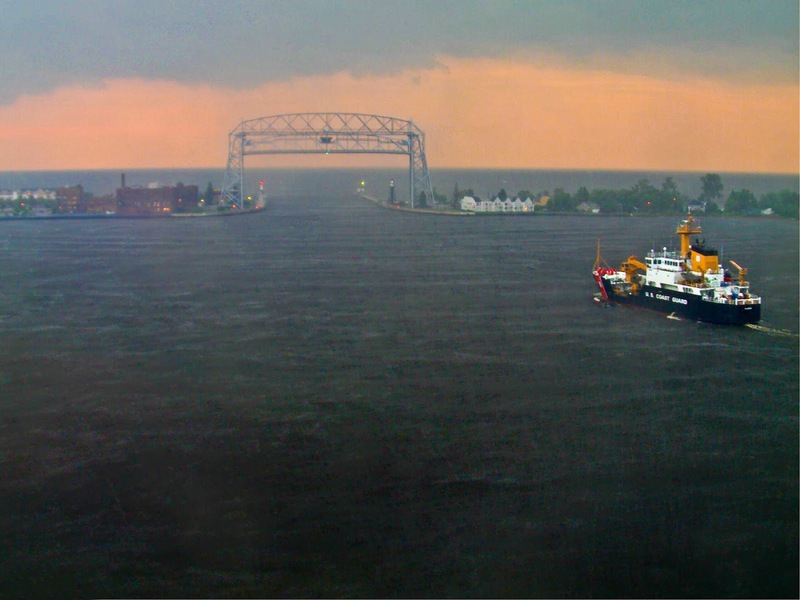 Both vessels will stop to fuel at the Calumet dock in Duluth before heading out to Two Harbors and Silver Bay, respectively, to load iron ore. The Burns Harbor is due to move from its layup berth to the BNSF Railway Dock to load iron ore Wednesday before departing via the Superior Entry. American Century is set to leave Thursday to load in Silver Bay while fleet mate, the American Spirit, is expected to move to the CN Duluth Dock to load iron ore over the weekend before getting underway. NOTE: All vessel departure/arrival times are estimates and are subject to change without notice. With the Soo Locks opening Saturday and virtually ice-free conditions across the Lakes, Port of Duluth-Superior should see its first arrival from the Soo on Sunday, most likely the Stewart J. Cort, the James R. Barker or the Cason J. Callaway, but that’s still too close to call. 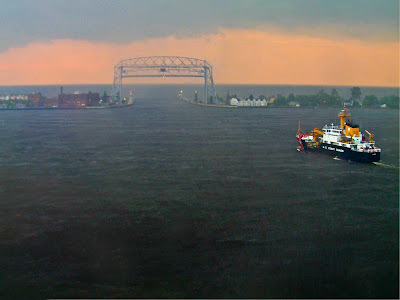 For updates, check www.duluthboats.com. Watch real-time transits at www.marinetraffic.com or http://ais.boatnerd.com or on mobile devices with Marine Traffic or Ship Finder apps. With a new shipping season soon upon us, I thought I would share small piece of my nautical heritage. He wrote this Seafarer’s prayer which was much used by the fishermen of the day. I think it still applies today, maybe even more so! Almighty and Merciful God. I thank Thee for Thy Great protection and mercy, that You have given me life and health, so that I am in a condition to seek work in the sweat of my brow. Oh, my Lord and my God, when I now fare forth out to the fish grounds and feel my impotence and the weakness of my boat in meeting the forces of the mighty elements, then I do lift up Thee my eyes of trust and hope and beseech You, in Jesus’ name, to lead us with good fortune out on the deep, to bless us in our quest for a good catch, to protect us, that we may again reach the shore safely, and come back to our loved ones, after we have gathered much provisions that You have in Your goodness, seen fit to afford us. Bless our loved ones and give us that we may be re-united with them in joy and safety, for the sake of the Holy Spirit; we give You all our laud and thanks, and worship. Oh, Lord, give us all good fortune - to the ship and to the men - in Jesus name. Amen. Ice Breaking to begin Thursday! Ice breaking begins this Thursday with boats beginning to move next week on Lake Superior. Strong East winds help push a bit of Lake Superior ice chunks into the harbor. The ice will begin flowing back out as soon as the winds shift tonight. With the sunrise moving north again and the open water on Lake Superior and the Duluth Harbor -- it even feels like Springtime. Boats to start moving in two weeks. Information indicates that the Paul R Tregurtha will begin operations on March 22nd.